Dr. Gerald P. Mallon, Associate Dean for Scholarship and Research at the Silberman School of Social Work at Hunter College, and Director of Continuing Education and Licensure Dr. Patricia Gray both received the National Association of Social Workers-New York City Chapter (NASW-NYC) Ruby Leader Award at the Chapter’s 12th Annual Leadership Awards Dinner on March 28. The Ruby Leader Award recognizes individuals with more than 25 years of leadership experience in the Social Work profession, reflecting the core qualities of “passion, courage, and emotion.” In particular, this esteemed award is given to leaders who have made extraordinary contributions to the Social Work profession while demonstrating a commitment to cross-cultural, anti-racist, and intersectional perspectives and practice. 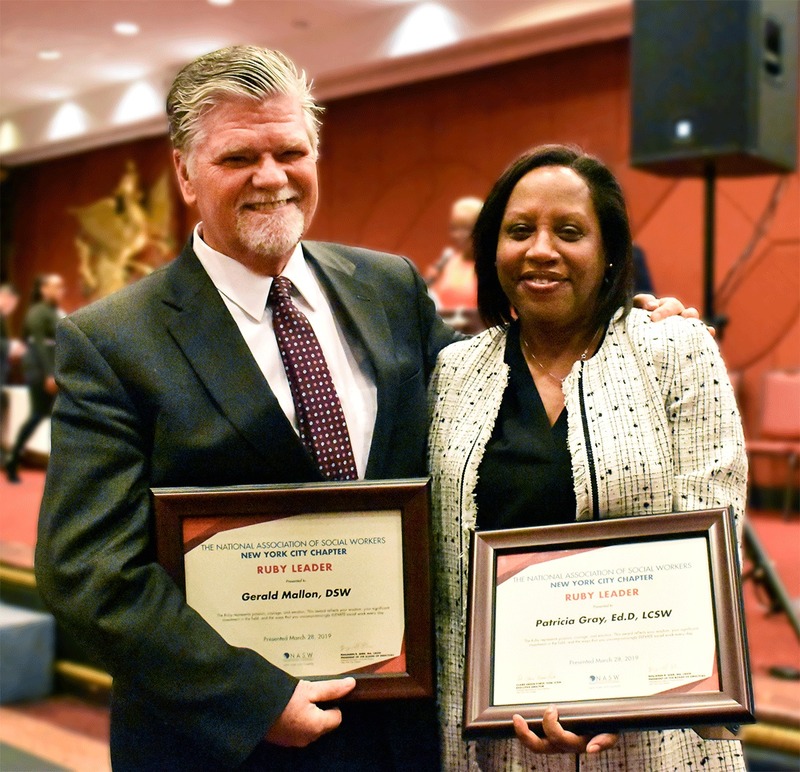 The Hunter College community warmly congratulates Dr. Mallon and Dr. Gray on this very well-deserved honor!